What Is Lease Equity And How Can I Use It? Luxury car purchases are out of reach for most people. That is why so many folks either lease or go the pre-owned route for high-end hardware. Many people dismiss leasing because you never retain ownership of the car, however that doesn't mean you can't generate "equity" to use later. Lease equity is when your car is worth more at the end of the lease than the buyout that was established when the lease began. This happens when the lessee drives less than the mileage allotted. Here is how I discovered this scenario. My 2005 Subaru Legacy GT had to go due to some transmission issues. My budget was tight and I could either buy used (not an option because I wanted something with a warranty), buy new for about $18,000, or lease new for about $24,000. I ended up leasing a 2010 Mazda3s Grand Touring with a six-speed manual for around $250 a month for 36 months and 12,000 miles a year. The leasing company set a buyout of about of $12,800 at the conclusion of the lease given the projection of 36,000 miles. However, because I only drive around town I put 19,000 miles on my car in three years. This gave me a book value on my Mazda of about $16,000 (trade in). The Mazda dealer offered me to use this equity to roll into a new Mazda lease with no down payment out of my pocket. While this was tempting, I opted to buy out the car, because getting a 2010 Mazda with only 19,000 miles for less than $13,000 was a bargain. Well, that and there was nothing else I liked that was within my budget. How does "lease equity" benefit me? 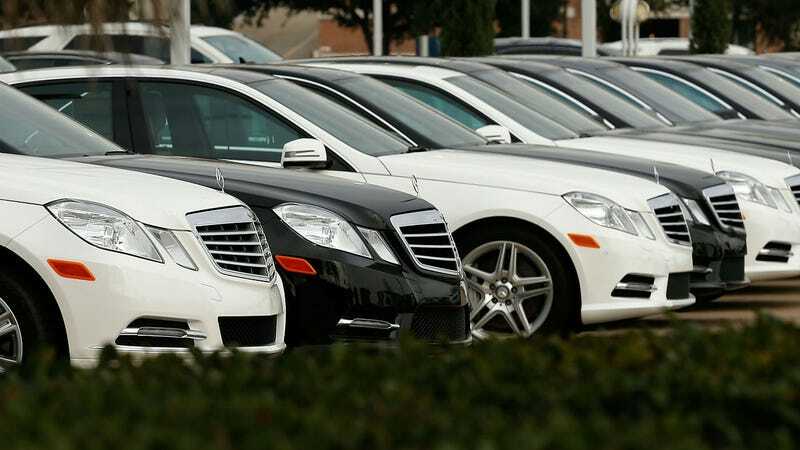 One of the benefits of leasing is you are driving a new car every three to four years. While this is a great feeling, most people don't like the idea of having to put several thousands of dollars down towards their next lease. As explained briefly in my example above, "lease equity" may allow you to use the positive trade value as a down-payment on either another lease or a purchase. Also be aware that many dealers may not tell you that you have some "lease equity" in your car when it comes time to turn it in. This is to their advantage because they can essentially "buy" a pre-owned car for less than it is worth and make more money off of it. So before you turn in your lease, run an evaluation on how much your car is worth then compare it to your buy out. If I drive "under miles" will I always have "lease equity"? It depends how many miles under you end up when the term is over. If the mileage allotment is 10,000 miles a year for a total of 30,000 miles and you only drive 28,000, the equity will be minimal. Maybe a few hundred dollars at best. However if you only end driving 15,000 miles in those three years you could have thousands of dollars worth of equity at your disposal. Also keep in mind that the car's value is also determined by its condition. A car that has been in an accident, even if repaired is going to be worth less than a car that was not in a accident. In addition, any other cosmetic or mechanical issues that need reconditioning will negatively affect the value.